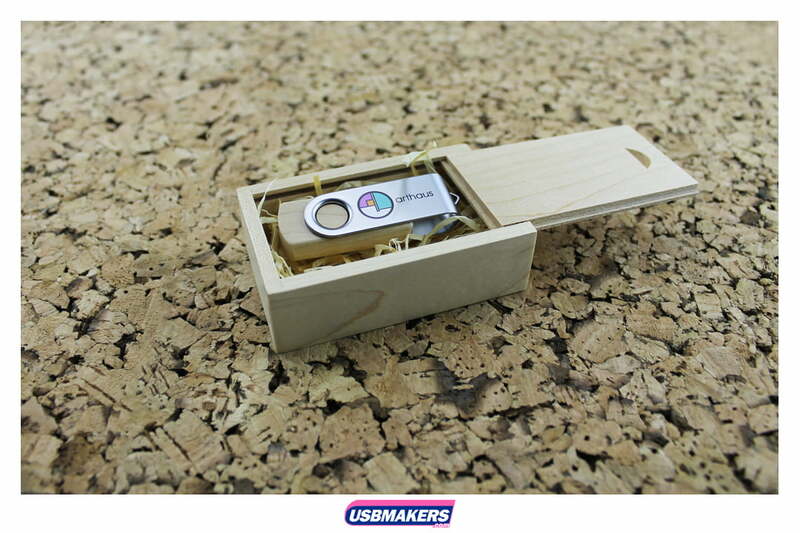 The Eco Twister USB Drive boasts a stylish wooden design with an aluminium clip which can rotate a full 360 degrees. 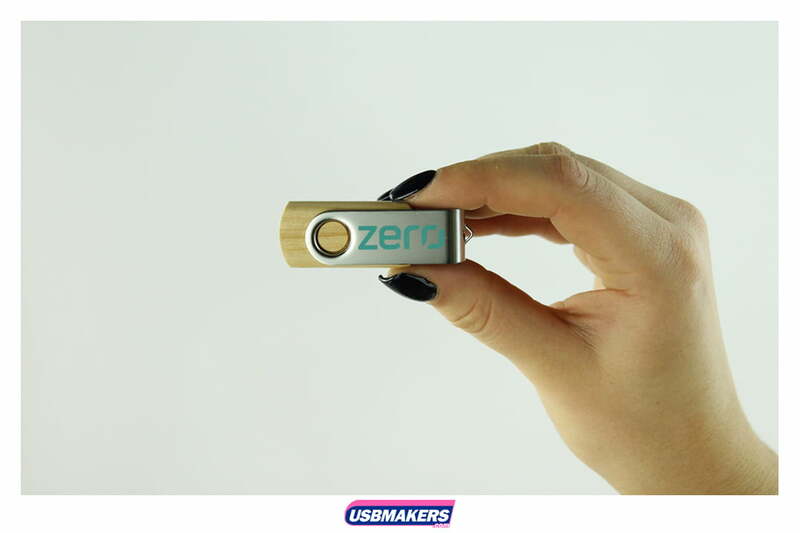 The edges are elegantly curved and smoothed to produce this sleek USB that is the Eco Twister. 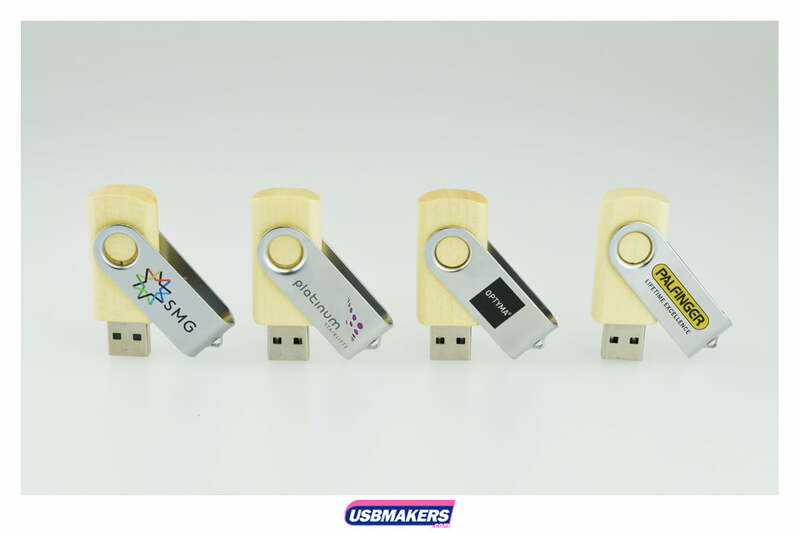 Similar to our popular original Twister USB design, the Eco Twister is available with 1-4 spot colour printing on one or both sides to show your companies logo off to its full potential! 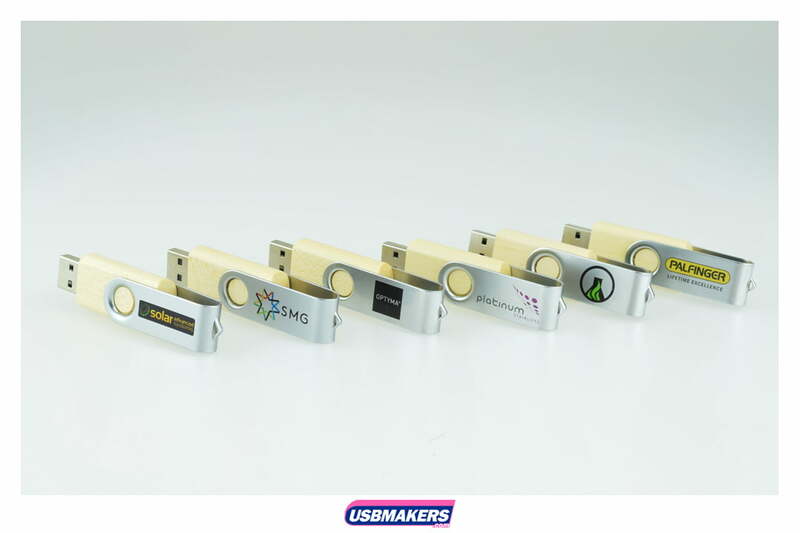 The Eco Twister also sports an eyelet on the aluminium section to easily attach any USB accessory you desire. 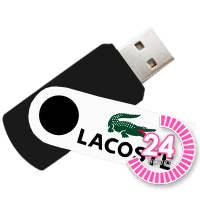 With a minimum order of just 10 units and available with our 24hr Express Service if you need it in a hurry, the Eco Twister is a brilliant and unique choice for your USB needs. 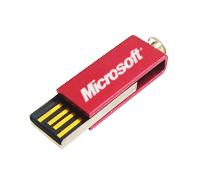 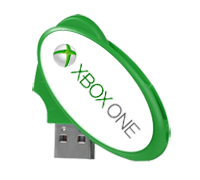 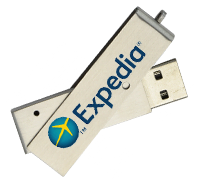 We are able to pre-load 400Mb of data at no extra cost, with our USB’s data ranging from 128Mb to 64Gb. 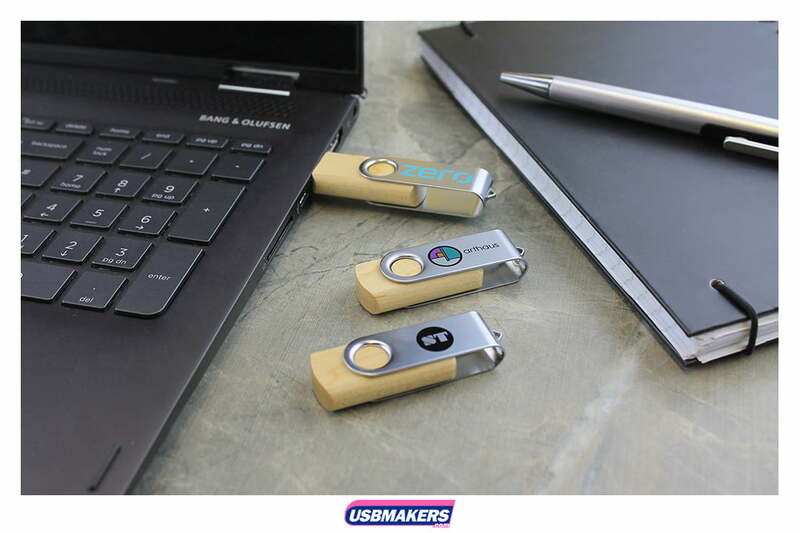 You have the option to have your data locked, unlocked or to add an auto-run feature to any of our USB’s. 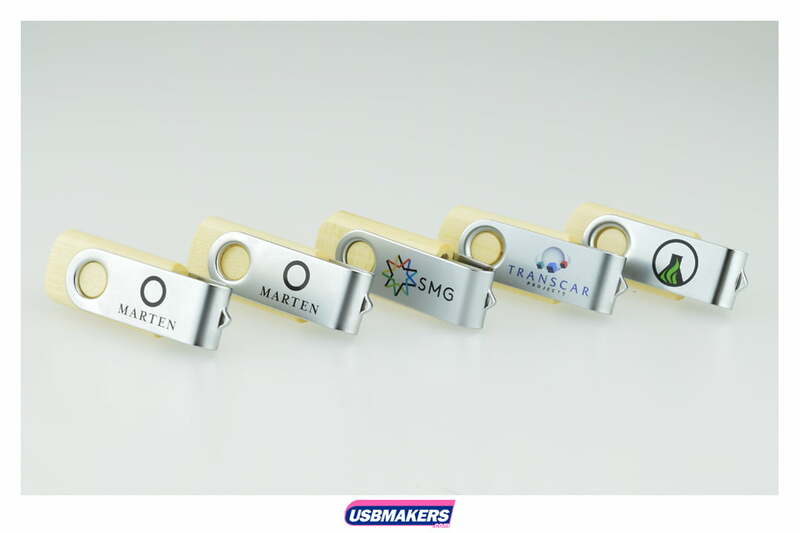 If you would prefer, We can also engrave your logo into the metal of our Eco Twister although this feature is only available on our standard 10 Day delivery service with a minimum order of 50 pieces. 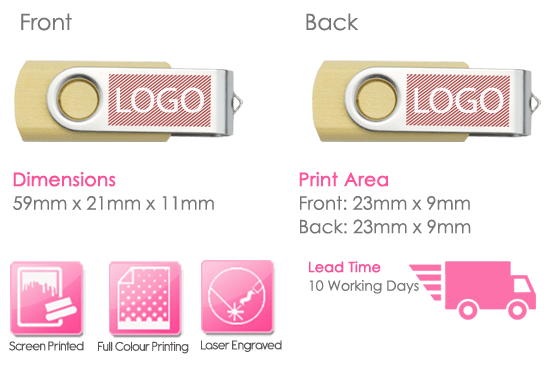 Contact one of our Sales Executives today who will be happy to help with your personalised quote and create a visual mock up design to see how your brand logo will look on the Eco Twister.